Marie is a lover of everything about and inside of aquariums. Among other friendly creatures, she has a turtle that she adores. I am going over a handful of incorrect ideas about turtles as pets. False Notion 1: A turtle is a turtle; they all have the same basic needs. 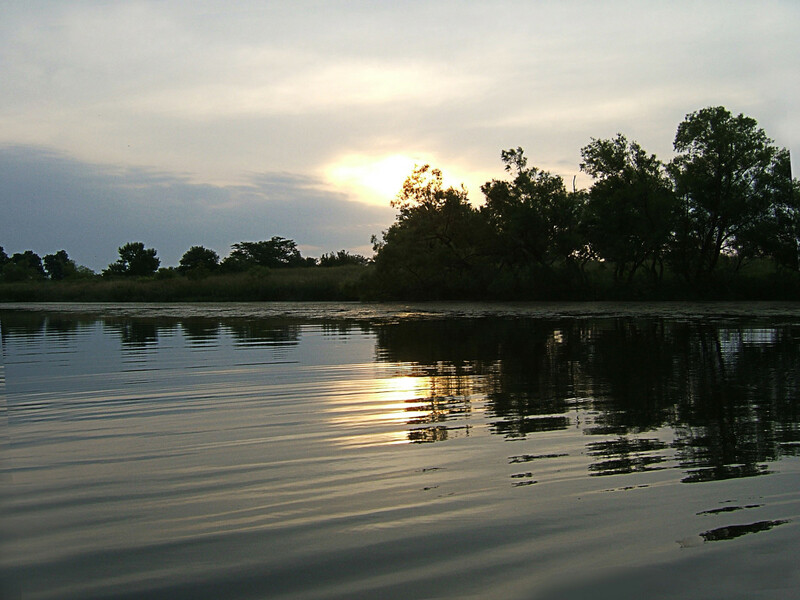 It is true that all species of aquatic turtles require UV-B radiation and need to live in an aquatic or semi-aquatic habitat, but diet, tank size, accessories, and growth rate differ between turtle species. Most people think all turtles are herbivores or omnivores, when some are carnivorous, such as the softshell, mata mata, and map turtle. 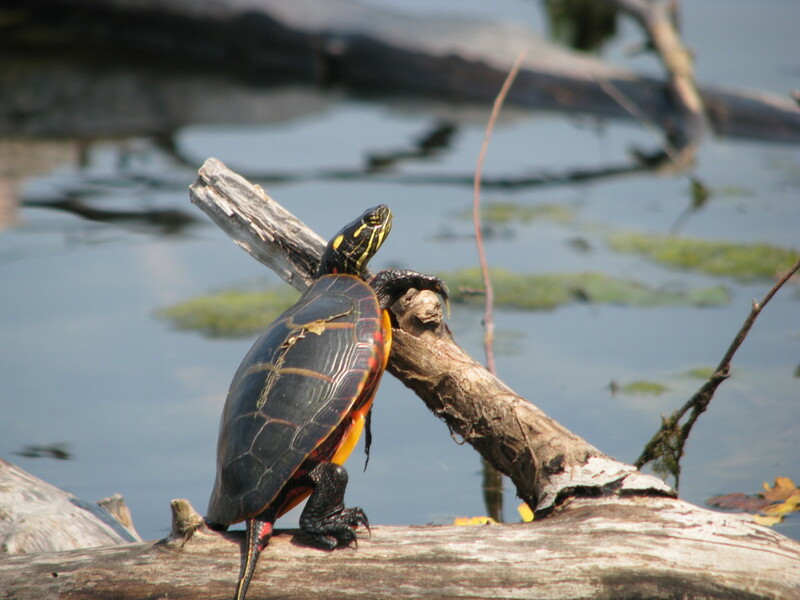 Red-eared sliders start out as carnivores and turn into omnivores as they mature. 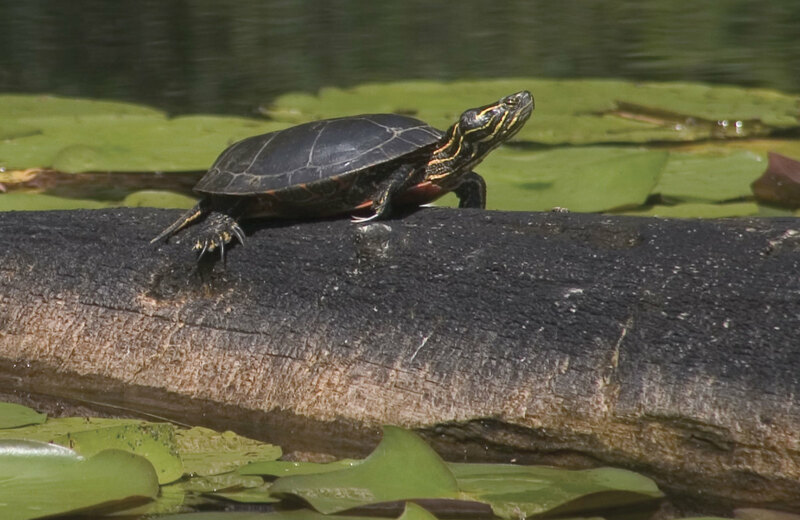 Map turtles are known to eat some vegetation while they are hatchlings and become carnivores as they mature. Baby turtles start out the same size, but one species can grow to be as large as 16 inches across while other types can only grow to be 8 inches. I hate that the word "turtle" is generalized when every species of turtle have their own kind of needs. Don't look up information about turtles, look up information about your turtle. False Notion 2: A wild turtle walking along on dry land is up for grabs. 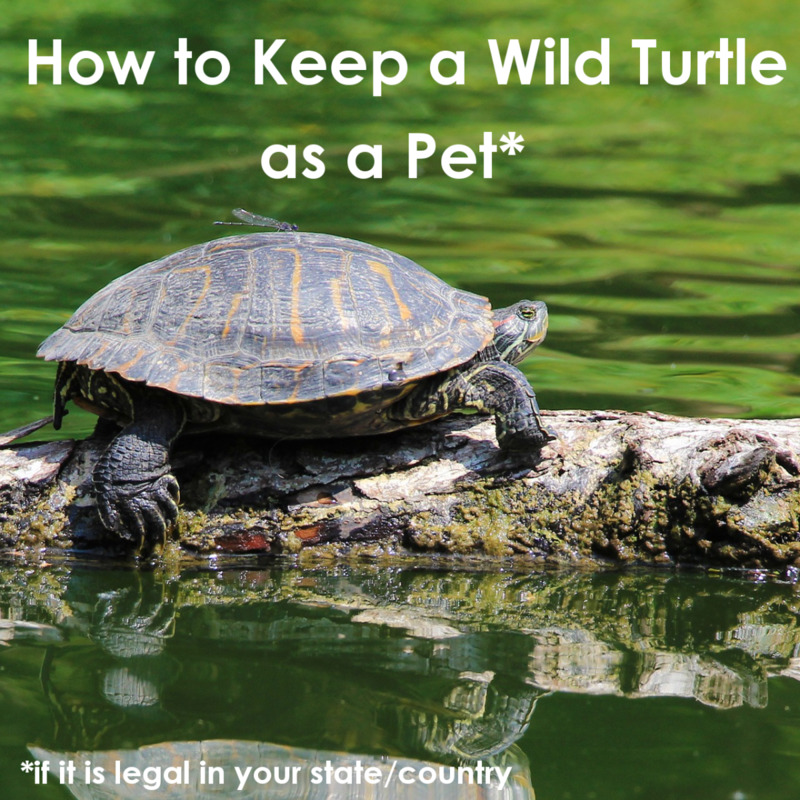 In some states, it is against the law to capture a wild adult turtle and keep it as a pet, but that’s not my issue here. The fact is, it’s wrong to capture a grown turtle on land because it is 99% likely to be a female trying to find a place to lay her eggs. Turtles never have a reason to leave their aquatic homes unless they are either forced out of their habitat or a female needs to bury her eggs. You can help a turtle along if it's trying to cross a road, but I would not take it home with you and keep it as a pet. The female turtle will suppress laying her eggs as long as possible during captivity, but eventually nature will force her to lay them and the eggs will most likely die because of the wrong habitat. It is a 50% chance she has already laid her eggs before capture, but why risk it? It's not healthy for the turtle's body to hang on to her eggs, and incubating turtle eggs is no easy task. It has to have the perfect temperature, moister, and covering (each species has its own way of doing this). Some turtles can hang on to their eggs for about two weeks, but every turtle and turtle species is different. So if you found a turtle walking along and you nabbed it, take it back where you found it as soon as possible. 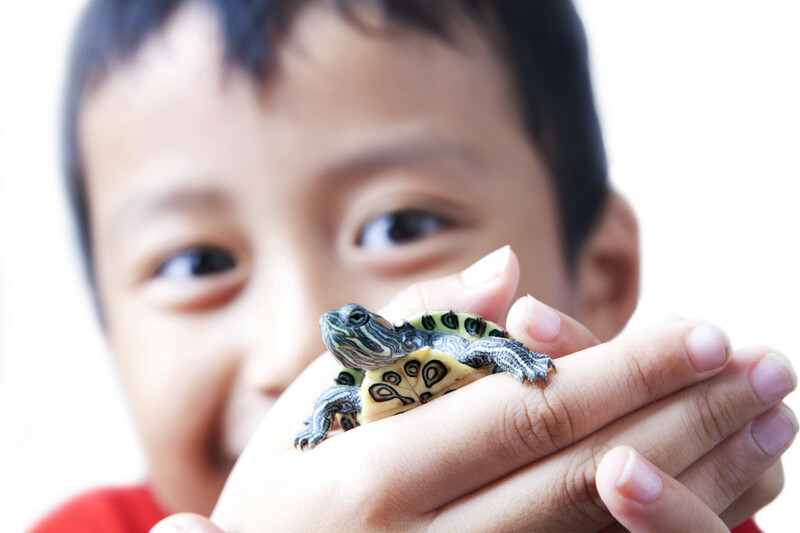 False Notion 3: Turtles make great first pets for children. I don’t recommend pet turtles for most adults, let alone children. For some reason, parents have this mindset that the smaller the pet, the less responsibility for that pet. That’s why parents will start their kids off with a fish before moving up to a hamster, and eventually to a dog or a cat. Although a dead fish might be considered less devastating than a dead dog, this idea of smaller equals less does not stand true for all small pets, especially for the turtle. I'll make the argument that turtles require more responsibility than a dog or a cat. For instance, what does a dog need from its master? It needs to be fed and watered, taken out for the occasional walk, and given affection from the owner (the fun task). How about a cat? It needs to be fed and watered, have its litter box changed once a week, and if it’s a long haired breed, the occasional brush (and affection, although maybe not as much as the dog). This may sound too easy and I don't want to downplay the care of fogs and cats, but exotic animals like reptiles are a challenge and here’s why: we don’t just take care of them, we have to control every aspect of their environment. 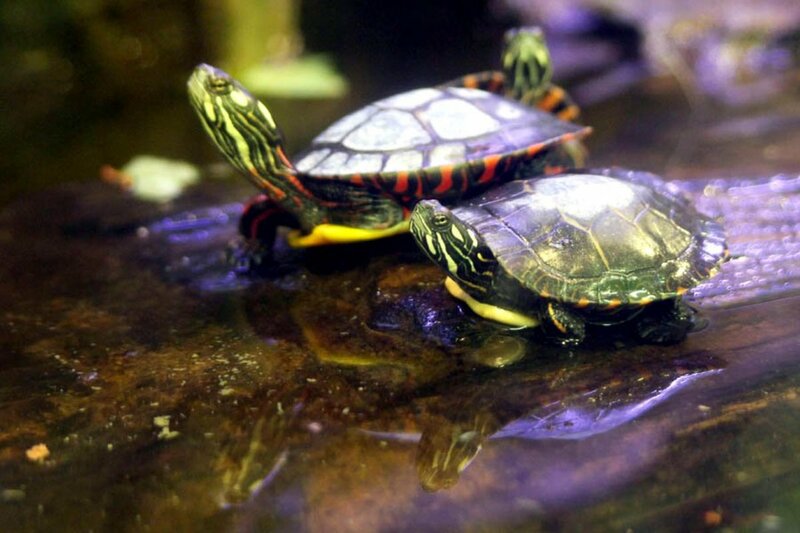 The space, the water temperature, the appropriate land area, filtration, chemicals, UV-B lighting, cleaning, even the whole arrangement of the setup is crucial for the turtle’s health. The point is reptiles depend greatly on their environment, which we have to put the most care into, while dogs and cats’ space does not require much, if any. A litter box, a scratching post, and a doggy flap and you’re all set. Meanwhile, the turtle’s environment must constantly be tampered with. Turtles can easily die due to neglect like filthy water and inadequate space. I strongly recommend parents away from turtles for their children. False Notion 4: Turtles grow into their environment. Space for turtles is essential. This is unfortunately overlooked by many pet owners, who assume whatever size aquarium they happen to have, works as long as it looks spacious to them. I've seen turtles in aquariums that are just too small and others that are way too crowded for turtles. Keeping a full grown red ear slider in a 40 gallon tank is the equivalent of keeping a golden retriever in a bathroom all its life. Not only will turtles become listless due to inactivity, but it has been theorized that turtles growth can be stunted by keeping them in such small closures. I once came across this sickening pet store site that encouraged customers to keep their baby turtles in a 10 gallon tank so that they can stay small and won't have to upgrade the tank. Even if this is true, stunting an animal's growth is cruel. They are meant to grow as much as nature intended, and I bet this is the reason wild turtles outlive captive turtles, despite getting all of their nutritional needs. Space affects health, so make sure your turtle is in a spacious habitat. False Notion 5: You can learn everything about your turtle from a source or two. Research: I mean research as many sites as you can about what kind of turtle you have and its overall needs. One site or even a couple will most likely not cover everything you need to know. Cross referencing is a must when looking up information on the web or even in books (especially outdated ones). Never take one person's word for it. When I looked up information on my baby softshell turtle's needs, a few said a 10 gallon tank is the minimum while the majority said 20 gallons. A few said six hours of UV-B radiation, while most said twelve. One site would say something in the majority and then say something in the minority. What it all comes down to is collecting all that you've learned and grouping together what they all have in common. The more sites you search, the more likely you will be right on your turtle's needs. So don't go through one page of Google and say, "I'm done. I know what I need to know." I probably went through 20 sites, reaching seven or eight pages of Google. So do your homework before getting yourself a turtle. 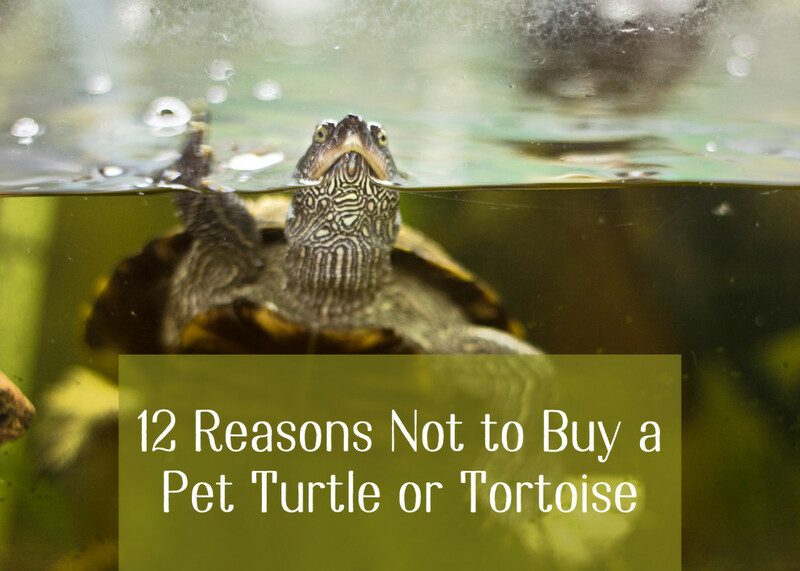 Turtles can make great pets, but they are not cheap and easy to maintain. It takes work and money to keep your turtle healthy and happy, and it should be all worth it if you care enough. Remember, don't just take my word for it. See what others have to say about keeping pet turtles; learn as much as you can about your animals. Instead of a glass tank, buy a large rubbermaid tub. 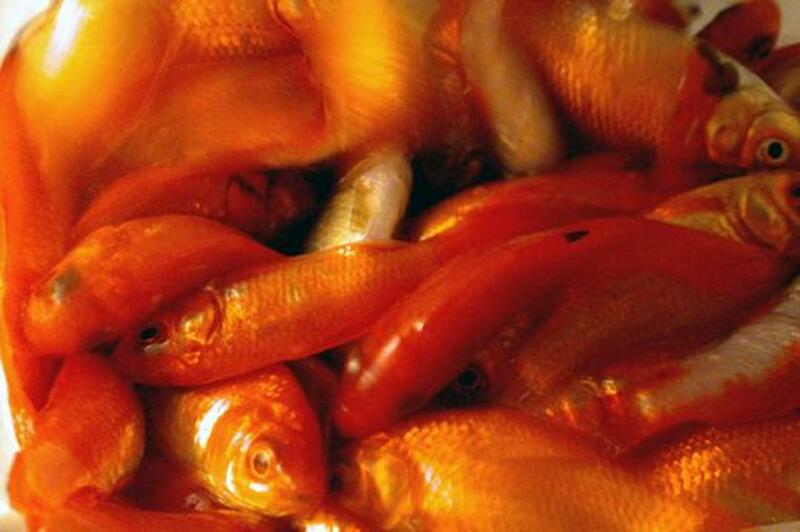 They're cheap in comparison to tanks and perfectly safe for fish and turtles. However, if space is the issue and not the cost, you might have to give it up to someone else who has the means. I have had my red eared slider for a year and a half now, I got him when he was the size of a quarter. My mom told me that I could keep them as long as he didn’t take up too much space. I know now that it isn’t a good idea for children to have such high maintenance pets, but over the past year I have done lots of research on how to take care of turtles and I have learned so much, but I still have so much to learn and I’m trying really hard. I have heard from many people that for every inch on your turtles shell they should have 10 gallons for there tank. My turtles shell is 3-5 inches long and I am keeping him is a 10 gallon tank. I ask my mom if I can get a 20 gallon tank for Christmas and she said yes but one of my friend who I have messaged back in fourth with told me that he’s going to need a way bigger tank then that. My mom was hesitant to even say yes about a 20 gallon tank, and I know she would ever say yes to a 30 or 40 gallon tank. She doesn’t understand that turtles need lots of space. I care so much about my pet, and I feel so bad that I can’t provide for him what he needs. I don’t know what to do, and I need some advice. What do I do? 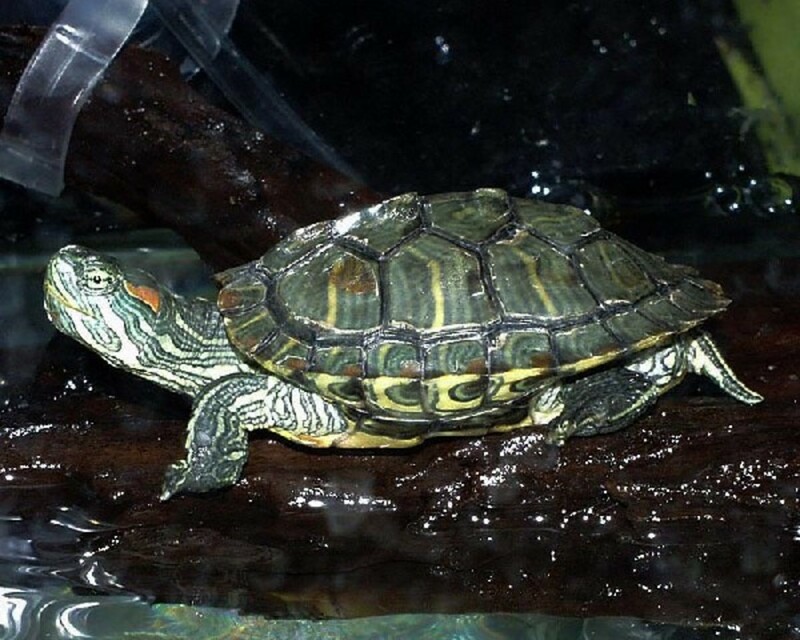 I have a had my red eared slider for a year and a half now, I got him when he was the size of a quarter. My mom let me have him as long as he didn’t take up too much space. I am 12 now, and I know that it says that children shouldn’t have such high maintenance pets, but I did not know when I got him. I have done so much research on how to take care of a turtle over the time that I have had him, and I still have a lot to learn. I have heard many people say that for every inch on a turtles shell they should have 10 gallons for the tank. My turtles shell is about 3-5 inches long and I am still keeping him in at 10 gallon tank. I know that it is terrible for his health and I am trying so hard to fix the problem. I asked my mom if I can get a 20 gallon tank for Christmas and she said yes, but a friend of mine that I have messaged back and forth with told me that I am going to need a way bigger tank. I don’t know what do. I don’t want to ask my mom for any kind of bigger tank because she won’t understand, she’s thinks that he will be fine in a small tank but I know that he won’t be. If I can maybe get a 30 gallon tank I don’t know if that would work or not. I care so much about my pet and I feel bad that I can’t provide him what he needs. I need help, what should I do? I've had a RES since I was almost ten. I took terrible care of it growing up. Sometimes he would go months without being fed, his tank was always dirty, and he got shell rot. I had the sole responsibility of taking care of him, and it wasn't until I grew up before I gave him favorable living conditions. Never give a child a turtle if the parents aren't going to take responsibility when it's necessary.